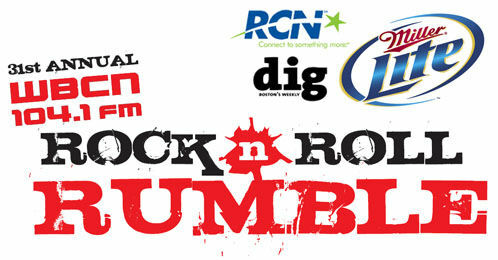 If you’re in Boston, this is a great week to check out lots of great live music, as it’s the 31st Annual WBCN Rock’n’Roll Rumble, a battle-of-the-bands style competition in which four acts do short sets each night. In typical Boston underdog fashion, there’s said to be a curse on the winners and the losers are celebrated. You can see a full schedule here, or check out the nifty play-along-at-home chart above. It’s from Boston Band Crush, who have pretty comprehensive coverage of the event. And best of luck to z=z friends Logan 5 and the Runners and The Motion Sick. I had no idea about the curse. That’s actually pretty cool. And good luck to Logan 5. I hope you… lose? Hey, don’t go counting chickens – they’d each have to win their respective round before you’d have to make that decision! 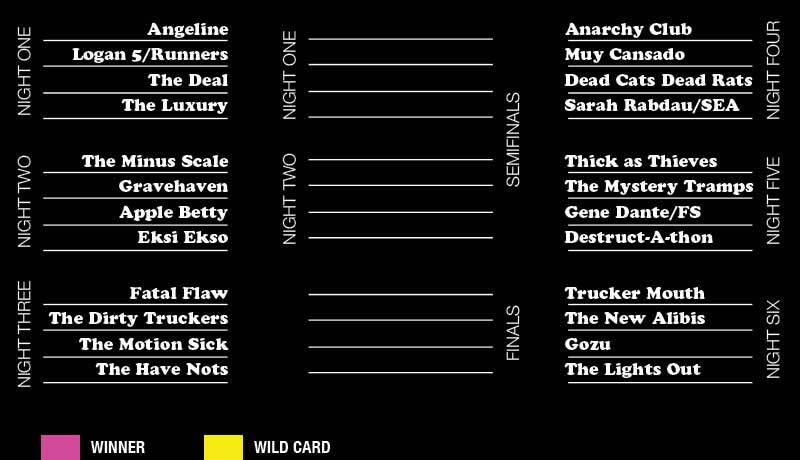 The Luxury, who rock very, very hard, won last night, but we had a blast and are still technically alive for a “wild card” birth next week. Lots of great Rumble gigs to come this week- Eksi Ekso and Apple Betty (tonight), the Motion Sick (Tuesday), the Light’s Out (Saturday). Keeping my fingers crossed for L5R and the wild card, Nick!